In Hull City’s case, local heritage was viewed as a burden, particularly to their global ambitions. But, can a turn towards local history, heritage, and signifiers actually benefit a sports club? The railroad, which linked the South Carolina city with the coal fields of Tennessee, became known as the “Swamp Rabbit” by locals who would use the freight train as a means of transportation to picnic in northern Greenville County. In a recent, long-form interview on the Tao of Sports podcast, the team’s Executive Vice President Chris Lewis describes that that the name change (though controversial among some supporters) not only links the franchise to the community through one of its most locally resonant histories, it also provides a strong symbol that the team is committed to the community. Furthermore, he notes that it is meant to spur local interest in the team – both from sponsors and the general public – and drive new merchandise sales. Surprisingly, this turn towards local heritage has resonated across North America, with both American and Canadian sports media outlets – as well as a nationally-trending social media – covering the name change. Though it remains to be seen whether the Swamp Rabbit’s name will ultimately pay-off in terms of increased local interest, it does point to the fact that there remains a strong link between sport and broader forms of local heritage, and that local heritages are often unique, appealing, and (dare I say) authentic. 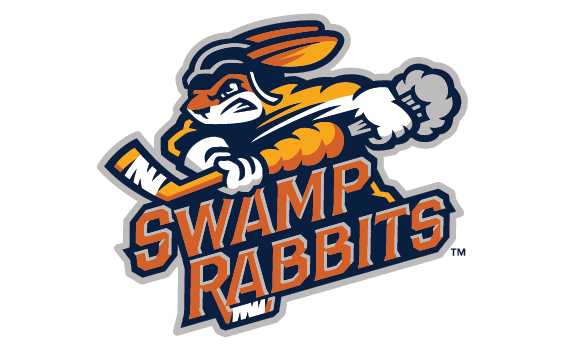 It would make little sense, outside of Greenville, to name a team the “Swamp Rabbits” – but, in Greenville’s case, it appears to be a perfect fit. In addition, while Hull City rejected their local heritage to embrace a more palatable global brand, Greenville seems to have attracted inadvertent national attention while attempting to solidify their local footprint. It also suggests that teams need to find ways of connecting themselves to their communities, and embracing a local heritage can be one of the ways to do this. By Gregory Ramshaw in ECHL, Greenville, hockey, local heritage, local history, South Carolina, sport, sport heritage, sport history on September 9, 2015 .